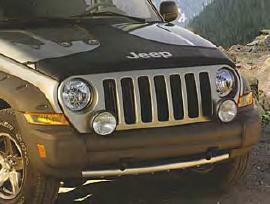 The T-Hood Cover for the Jeep Liberty provides a distinctive look while it helps protect your Liberty from damage caused by gravel, insects, and road debris. 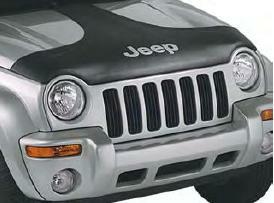 Features turned-under sewn edges and the Jeep logo. Looks good 35 miles and under but wind and any faster pushes up and looks and feels like it is going to fly off. Poor design for 07 Liberty Sport unless in town and slow. ConsNot fitting on my 07 Liberty Sport.